Today was the third and last day of the ‘Infinities and Cosmology’ conference at Cambridge (there is also a workshop tomorrow, see website). Yesterday saw quite a heavy schedule, with part II of George Ellis’s ‘Infinites of Age and Size Including Global Topological Issues’, part II of Anthony Aguirre’s ‘Infinite and Finite State Spaces’ and part II of Michael Douglas’s ‘Can We Test the String Theory Landscape?’ (see previous post for an outline of these topics). We also had a fairly technical talk on ‘Singularities and Cosmic Censorship in General Relativity’ by the Cambridge mathematician Mihalis Dafermos: nuts-and-bolts talks like these are great for non-relativists like me because you get to see the mathematical tools used in GR research. Today saw part II of Mihalis’s talk and the lecture ‘Infinite Computations and Spacetime’ by Mark Hogarth, a fascinating exploration of new methods of computation by exploiting relativistic spacetime . I won’t attempt to summarize either, but the lectures should soon be available on the conference website. For me, the highlight of the day was the talk ‘At Home and At Sea in an Infinite Universe: Newtonian and Machian Theories of Motion’ by Simon Saunders, the well-known Oxford physicist and philosopher of physics. This was a superb discussion of Newton’s cosmology, in particular the paradox of gravitational instability in the Newtonian universe of infinite size and absolute, fixed space. Did Newton realize that our solar system might possess a net acceleration, or did he assume that external gravitational forces somehow cancel out? 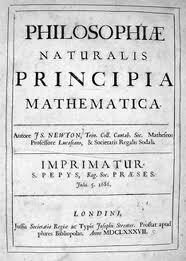 Drawing on material from Newton’s Principia and his ‘System of the World’, Professor Saunders argued that Newton assumed the latter, though whether he attributed such a delicate cosmic balancing act to divine intervention or to unknown forces is not clear. (The possibility of a theological argument is not so fanciful as this work was the first mathematical attempt to try to describe the universe as a whole). Later, Professor Saunders suggested that it is likely Newton declined to spend too much time on the question simply because it was untestable. There were many other interesting points in this fascinating lecture. Viewing the slides shown from Newton’s Principia, I was struck by the equivalence drawn again and again between bodies at rest and in uniform motion. This anticipates Einstein’s special theory of relativity and is again slightly in conflict with Newton’s assumption of a fixed, absolute space, as Simon pointed out. All this hints at a possible difference in Newton’s philosophy towards the universe at large versus motion on local scales – ironic as he was the first scientist to unite terrestrial and celestial motion in a single framework. I won’t comment further, but the lecture left one eager to read Simon’s recent paper on the subject. All in all, a superb conference. It was interesting that, even with such distinguished speakers, moderators observed time limits strictly in order to allow plenty of time for questions and comments after the talks. In some ways, this was the best part; it’s not often one gets to hear to-and-fro arguments between scientists like John Barrow, George Ellis, Julian Babour and Simon Saunders, in the lecture theatre and over coffee. Speaking of coffee, one of the best aspects of the conference was the venue. 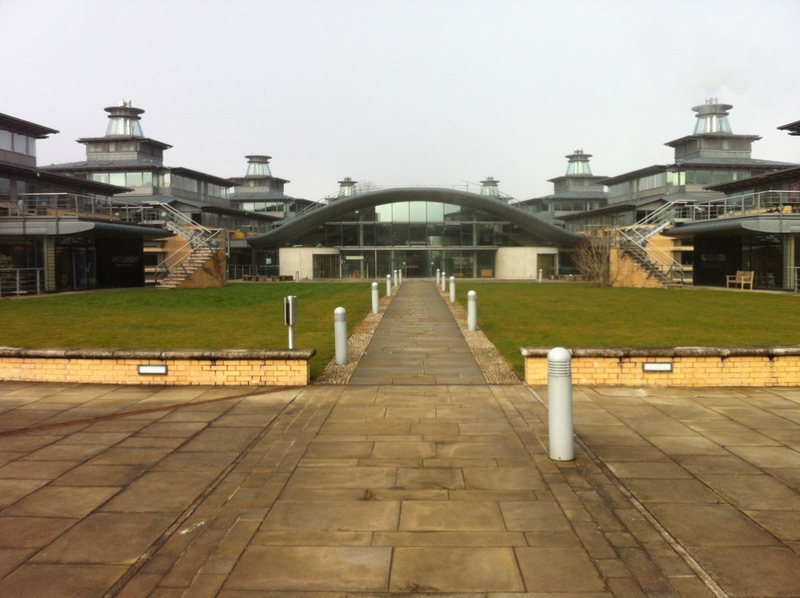 Cambridge’s Department of Applied and Theoretical Physics forms part of its Centre for Mathematical Sciences and is housed in a lovely modern open-plan building, with the smell of coffee and scones wafting throughout the atrium. What other mathematics institute can boast such a setup? Not DIAS, I’m afraid. 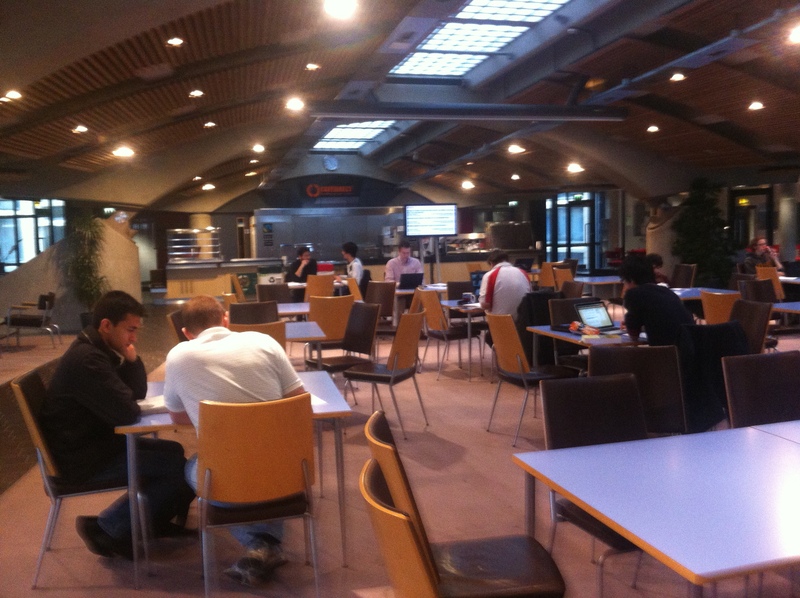 Indeed, I’m writing this post in the quiet atrium/canteen (no annoying background music – that wouldn’t be tolerated here). However, I’ve just realised that we are now finished for the day, so I’m off to do some sight-seeing at last. PLEASE READ AND DISCUSS FOR PUBLICATION POTENTIAL.